Coffee tables are useful and decorative pieces of furniture which embellish our interiors make us feel more comfortable and create a beautiful atmosphere. A beautiful coffee table will always fill in an empty, dull space and will bring color into your room. It is also the case of these decorative luxury COFFEE TABLES designs from Tim Burton’s movies which seem to create a special and elegant ambiance.These coffee tables have a magnificent and interesting shape which will attract everyone’s attention and who love special designs. It looks like a wonderful, refined lace made of glass and with a beautiful pink application which will reveal a feminine and joyful style. 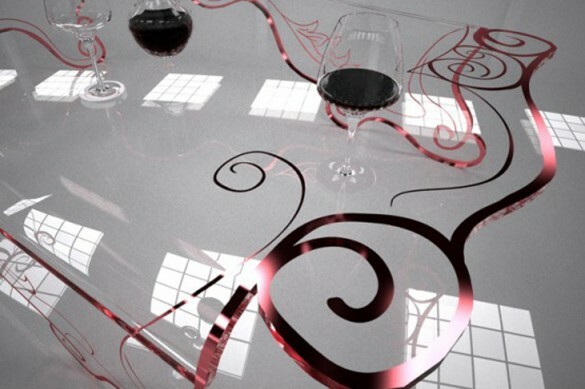 Your interior will become more elegant and attractive if you choose this type of coffee table design. Your guests will love to admire it and will enjoy having a nice coffee. What about a trip to Italy to search home inspiration?